An illusion… what are you hiding?! Well no, not really, everything is in fact fine. Those two quotes are a good hint as to what we have been up to lately – the main citadel of Suramar, Nighthold, is the name of the game! 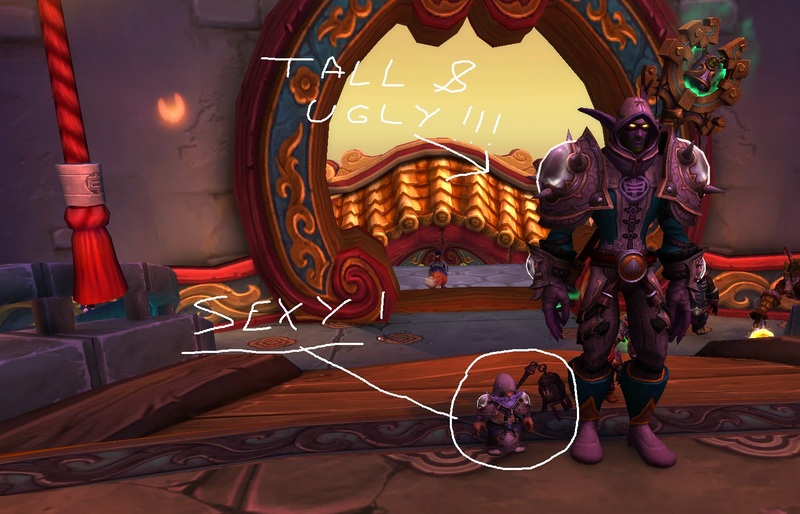 It is inhabited by the Nightborne and killing tall people is every bit as satisfying as expected. The gnome approves! 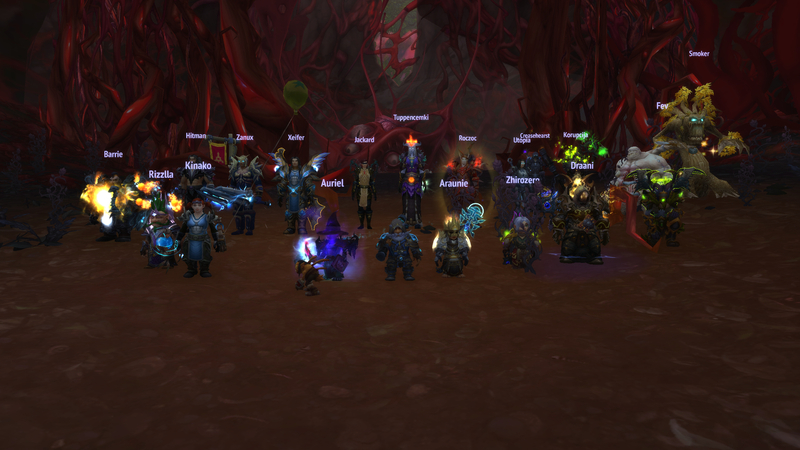 On a marginally more serious note – “third half” of Legion’s first tier is now opened and we are having a blast. 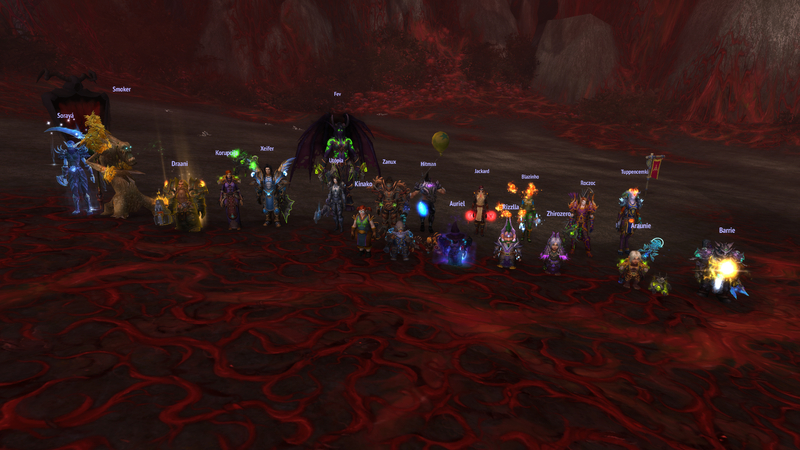 We ended week one on the final boss, mr. Gul’dan heroic himself. We did not have the time to finish him off, but this time around we can say without a doubt that it is just because we ran out of time. Probably should have skipped normal mode clear, but we thought – better safe than sorry, besides – tier items. Having returned to Nighthold in week two we got to Gul’dan, this time in a timely manner. After some small adjustments and fine tuning of the tactics for the early phases we needed but five pulls to get the job done. It felt about as satisfying as it should – nothing fancy, encounter felt balanced properly, but hey – at least a cool little video followed. 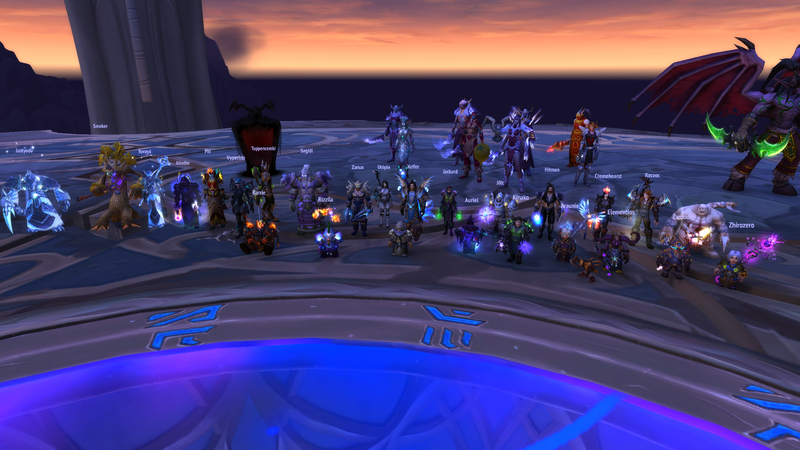 With Gul’dan out of the picture we did what any sane person would do – we magically made the bosses respawn, this time in full awe, adult mode and we stepped in to mythic. Here is hoping next update follows sooner than later! Having killed Odyn we swiftly moved to Guarm. We worked out a tactic we liked, we fixed dispells and we killed him. It was not exciting. Second (third?) half of this tier, Nighthold, is out soon, so we decided we will not attempt Helya for now. We also have some turbulence in the roster, so we shall use the time left to fix that. 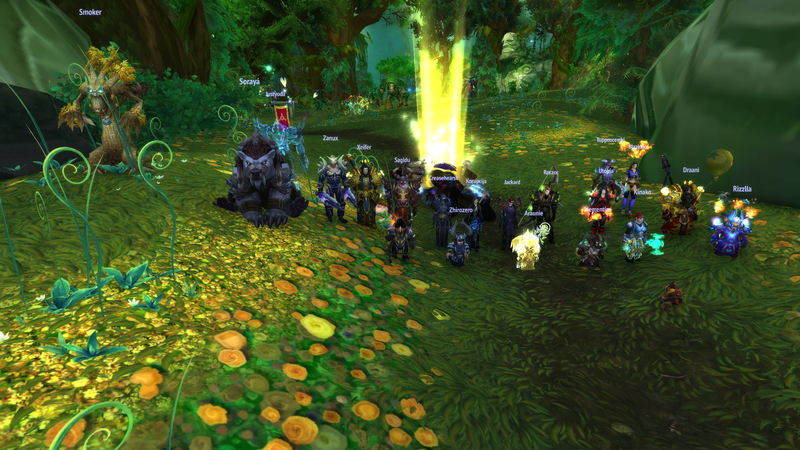 We will be back once we get involved in the Highborne killing business. Gnomes rejoice! After what seemed like an eternity consisting of small eternities we have defeated Odyn. Last raid of 2016 as well. It felt like we were trying this boss forever, however a quick fact check proves we did not in fact wipe all that much on it. Just a feeling you get when most pulls last about 10 minutes. That’s what happens when a guild with a masculine majority gets to learn a fight that has to do with colors. Absolutely terrible loot as well, so a cherry on top. With Nighthold coming sooner than later, our plan is now to get Guarm dead and pause progression until the new instance is out. Helya will have to wait for another day to die. And hey, Guarm kill ought to be shorter than Odyn’s phase two, that alone is enough to make us excited about it! As the title says, we are indeed back with more sooner than later. 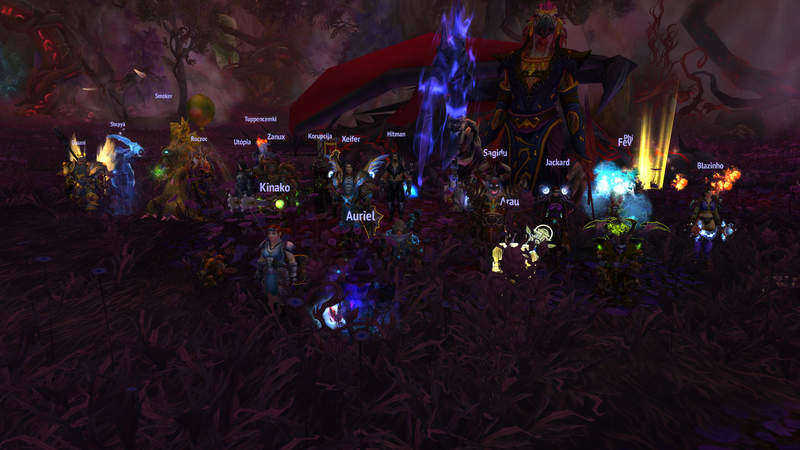 We knew in advance we are supposed to expect Xavius to be easier than Cenarius, but we did not quite see that coming. Cannot say for a fact, but I would not be surprised if the final boss of Emerald Nightmare took less pulls than the first one. Normally killing the last boss is a sign it is time for us to do some brain-storming, see what went well and what went wrong for us, but this time it honestly did not feel like an actual last boss. Besides, for the most of it we know exactly where we are at and what to do next. We are now officially Dreamers, however that does not mean we are about to sit back and wait for Nighthold. 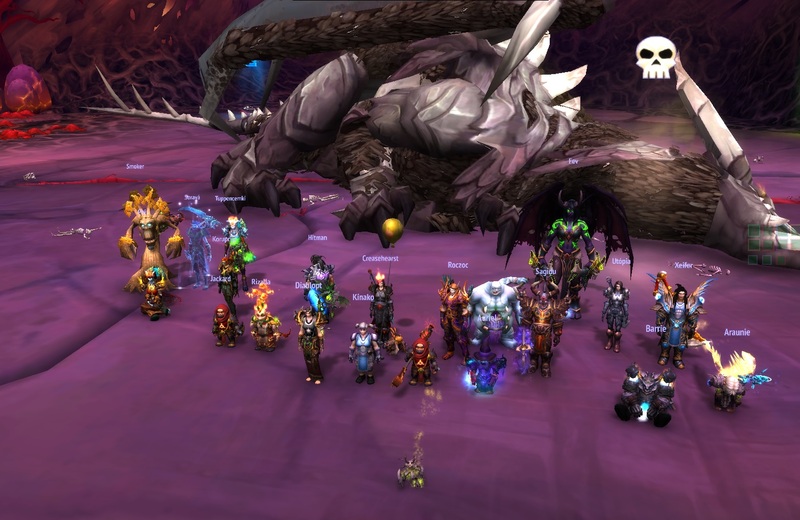 Trial of Valor has only just been released and while it only has few bosses there seem to be a consensus they are a considerable step up compared to Emerald Nightmare. We shall know soon enough. Different tactics, different ideas, quite a few pulls – all signs of actual, meaningful progress checked. 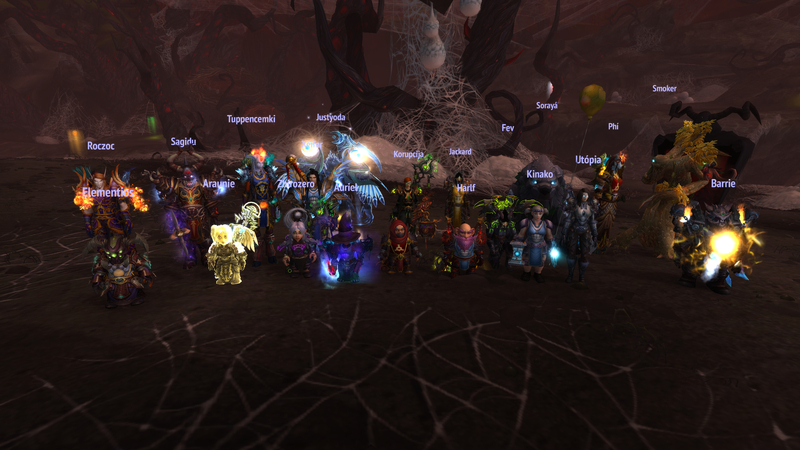 Unusual situation for the second last boss to be by far the hardest in an instance, but what do you do – it needed killing anyway. And so killing we did. Did not have much time left after this one died, so only pulled Xavius, the final boss, few times, but it does indeed appear he won’t be too much of an issue. Hopefully we will be back with more sooner than later. Here there be no more Dragons! So, so much more enjoyable than Ursoc! The previous bear-boss sort of brought the mood down for us, but thankfully Dragons of Nightmare were just the breeze of fresh air we needed. Much more engaging, interesting fight, more going on, room for some strategizing – good stuff all over! 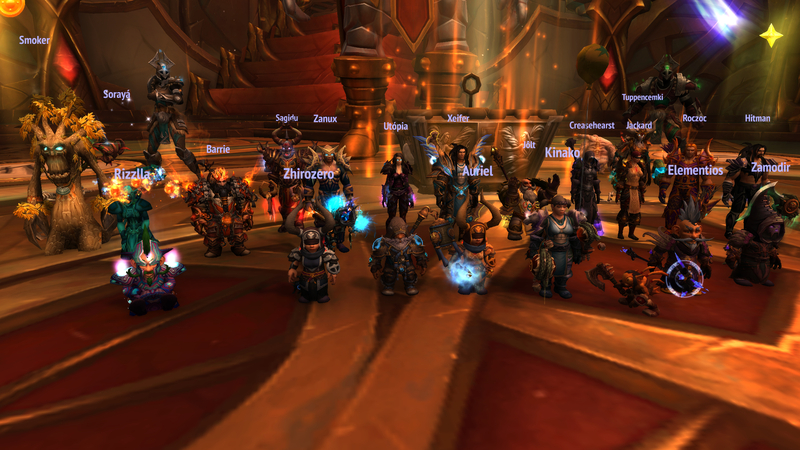 A point could be made, again, we killed it later than we should have, but oh well, at least this time it was just simply a matter of more practice, no silly issues with raid composition, gear, servers or whatnot. And it was fun through and through. Now having slayed the lovely Dragon-gang we proceeded to the respectable Eye-boss. Because, I mean, who in his right mind will remember a name like Il’gynoth? Anywho, the fight has a reputation for being the second hardest in the instance, so we did not expect too much. It is not quite dead yet, but there have been some rather promising attempts made already. So this is basically where Legion launch caught up with us. 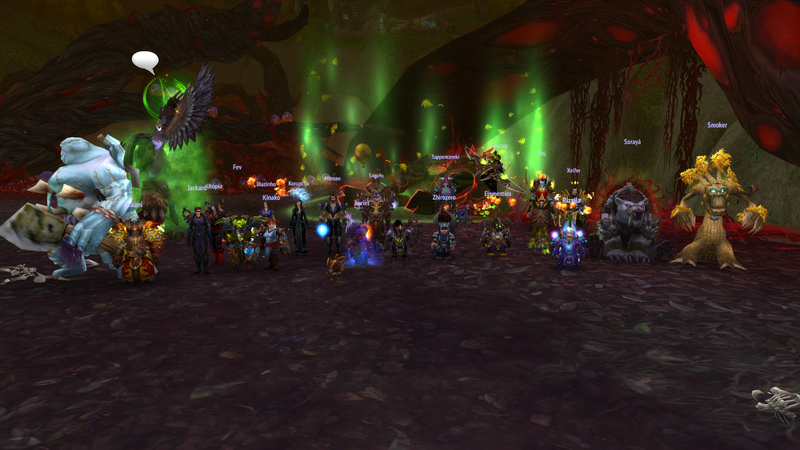 Ursoc was not supposed to be the next target for us, we wanted to push the gear check encounter further down the line. We also most certainly did not expect some pretty bad server lag at that point. Sadly, due to temporary absence of certain key players we needed to smack the bear and with an absolutely ridiculous raid composition. Even more sadly, we fought the servers just as much as the actual encounter. We would of course not be ourselves if we didn’t secure a sub 1% wipe and then never managed to kill the boss that reset. Because of all that the kill felt very late, but at the same time we knew there was not really much we could have done better. 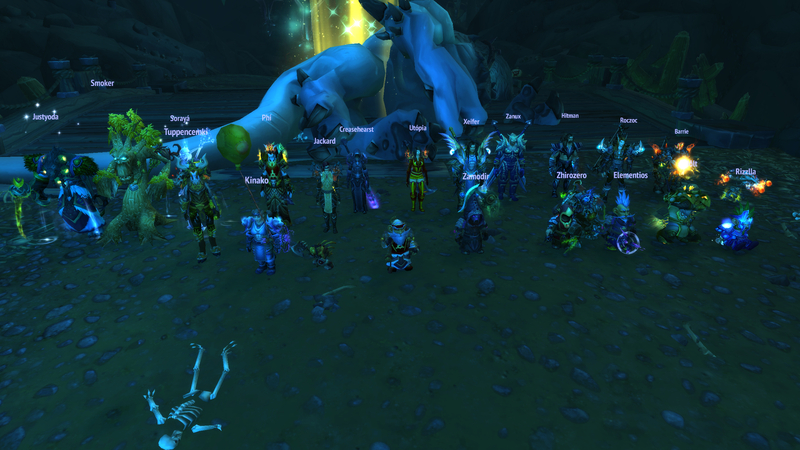 As a result we took a ridiculous dive in both world and server rank. That is not nice, but it is also not too big of a deal – it is not what we are focused on and, again, we had a good plan, just that circumstances made it impossible to follow it. What matters is that the somewhat bearing unbearable bare bear is just barely dead. And from here on it will only get easier each week to slay him. Now things are looking brighter as well – next stop, Dragons! First week of raiding still and not one, but two mythic kills to share with the word. Quite an unpronounceable name for a boss, so we took the liberty of baptizing her with a christian name of Spiderbird. Pretty good stuff, we are happy that for once we decided not to play it overly safe and whilst many guilds decided to three-tank the boss, we opted for a standard, two-tank setup. Worked like a charm and never felt like an issue, proof below. Having killed the boss with good time left, we moved on to the next target on the kill list. Feels like even if without the temporary roster shortages we are about to experience, this is going to be a tougher nut to crack. Kill videos as usual available through wowprogress, link on the right side. However as of late, one dragon less. With heroic stuff cleared early on, we stepped into the mythic Emerald Nightmare and found a sleepy, infested dragon blocking the way. The dragon had a bad breath and was a little rotten, so we removed her out of the way. First mythic items to be had, a journey of thousand miles begins with a single step. Now that the first guardian has fallen, we get to choose which encounter we want to tackle next.